The remarkable eighteenth chapter of the book of Matthew deals with many important subjects, and should be studied thoroughly by every serious Christian. In this passage we find teaching by the Lord Jesus regarding such matters as the kingdom, ministry to children, offenses, hell fire, the church, and forgiveness. Verses 15 through 20 present a section of scripture commonly cited in the matter of “church discipline,” but the passage is really about something else: prayer meetings. Yes, verses 15 and 16 tell Christians what to do when we are wronged by a brother, and give us the command to confront offenders and restore them. (In verses 21-35 we are taught to forgive each other and reconcile.) Verse 17 is indeed an important verse describing church discipline. Then verse 18 repeats the remarkable promise associated with “the keys of the kingdom” in Matthew 16:19. But the words of Jesus in verse 19 make clear what the main subject is. We are told that if “two of you shall agree on earth as touching any thing that they shall ask, it shall be done”—two agree about what to ask. “Two” makes it a meeting, and “ask” makes it a prayer meeting. This great passage with its phenomenal promises ties the purification and unification of the church to its use of the keys of the kingdom in a prayer meeting. Read verses 15 through 20 again! Here we find our Lord’s teaching on how to conduct church prayer meetings. Prayer meetings are making a come-back these days, and we can be glad for it. With renewed interest in revival has come a renewal of the practice of corporate prayer, and the effects are truly wonderful. Prayer meetings, that is, meetings of Christians called for the purpose of praying, bring with them some new challenges and questions for congregations that engage in them, and it will be beneficial to get some scriptural help on the subject. The midweek services held by evangelical churches since the Second Great Awakening, although traditionally called “prayer meetings,” have mostly degenerated into something much less than actual prayer meetings. However the God-given burden for revival in these days is bringing people together more often in true meetings for prayer. 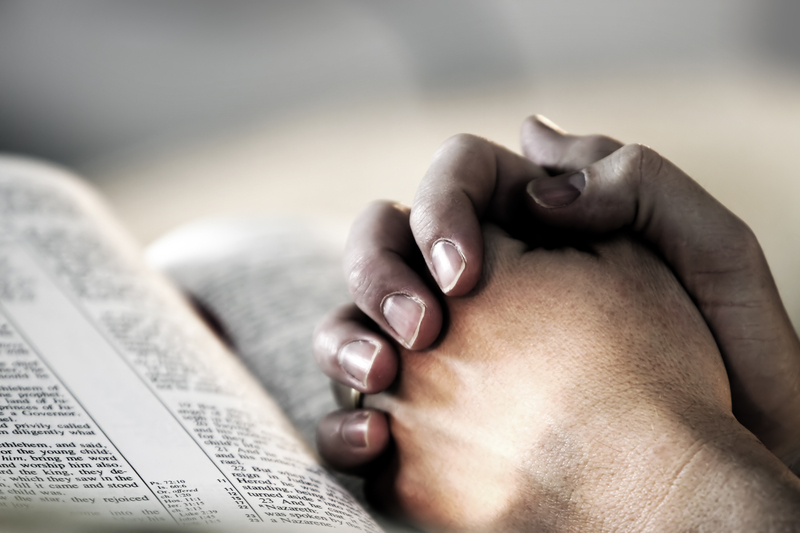 As we hold prayer meetings, we ought to keep in mind a few things that are often forgotten. PRAYER MEETINGS ARE ABOUT GETTING THINGS DONE. Why shall we have prayer meetings? It seems appropriate to call “cottage prayer meetings,” as well as other prayer meetings, in connection with revival campaigns, but is propriety the main reason for them? Some say they feel good in a prayer meeting, but is the good feeling the reason we are to have them? The answer is “No” to both of those questions. Actually prayer meetings are called in order to get things done. Notice what Jesus promised in Matthew 18:19, that certain things would “be done” in response to the prayers. In John 14:13-14, Jesus promises to “do” what we ask, and in John 15:7, we are told that whatever we ask, “it shall be done.” The idea is that we can get things done, cause things actually to happen, by means of prayer meetings. Throughout the New Testament, the results of effective praying, and effective prayer meetings, are things that get done in answer to prayer (look up Matthew 7:7-11, Acts 12:5 and 7, and James 5:15-18). Prayer meetings are called to convict sinners, to supply needs, to solve problems, to change history, to revive the saints, to find direction, obtain boldness and power in evangelism, to get things done. We should expect things to happen in answer to our prayers, and we ought to come together to pray with this purpose in mind primarily. AGREEMENT IN PRAYER IS EVIDENCE OF THE SPIRIT’S MINISTRY. Matthew 18:19 is one of the most stunning promises in the Bible, and we must learn its meaning. As we have seen, it is about meeting for prayer. It states plainly that when the condition of agreement is met, the prayer will be answered: “it shall be done for them of my Father.” But what exactly is this agreeing, and why is it effective in getting the answer to a prayer? The word in the original Greek of Matthew that is rendered “agree” in the English Bible is sumphonesosin, which looks like our word “symphony.” It indeed has the idea of harmony. It implies more than just making an agreement. The promise of Jesus here means that when people in a prayer meeting come to the point of full unity in asking for something, when there is union of heart and soul as well as mind and language, they can expect a direct and positive answer to their request. The truth is that one reason for having a prayer meeting and looking for unity in the praying has to do with the ministry of the Holy Spirit. Jesus taught His disciples the night before He died that, after He would go away, He would send them the Holy Spirit as “another Comforter” Who would remain within them forever (be sure to study John 14:12-17 and John 16:5-15 in this regard). The word translated “Comforter” in this important passage means more than One Who consoles us when we are sad. It literally means that the Spirit is our great Helper. He helps us succeed in every aspect of the Christian life! We cannot live the abundant life without His supernatural help. The New Testament scriptures teach that Christians can have the help of the Spirit in the business of praying. Find this amazing truth in Romans 8:26-27, Ephesians 6:18, and Jude 20-21. He will even help us know what to ask. He can make our praying effective by helping it to be informed. In other words, the Spirit can give us insight into the will of the Father in the matter about which we are praying so that we can ask for the right thing. 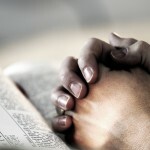 When praying alone, the witness of the Spirit will on occasion have some competition in our minds. Our own strong wishes often compete with the ministry of the Spirit to provide the contents of our requests. We can find ourselves unsure if the sense that we should ask for a certain thing comes from the Spirit or from our own hearts, especially when we feel strongly about a certain issue. However, in a prayer meeting, the union of yielded hearts in supplication for a particular petition can be evidence that the burden or desire is really coming from God, since so many are sensing it. How often Christians united in prayer and yielded to the Spirit experience such powerful agreement! It is a real indication that the group is asking for something that the Father will be pleased to grant. The fact is that the wording of Matthew 16:19, Matthew 18:18, as well as Matthew 18:19 indicates that the things bound and loosed were already bound and loosed in heaven before they were requested from the earth. God already purposed to accomplish certain things, but He waits for His people to exercise faith in asking for them before actually doing them. This idea that God wills to do things that He won’t do unless we ask Him is actually taught throughout the Bible, and can regarded as the great mystery behind effectual prayer. Usually it is the written Word of God that reveals to us what the Lord really wants to do in a situation, and will do if we believe Him. This truth is behind the promise of John 15:7. But then also it is the Spirit Who applies the Word of God to our situation and shows us how to pray according to the Father’s will. . Study, when you can, such passages as Second Kings 13:14-19, Daniel 9:2-19, Matthew 6:8, and James 4:2, to see that God will have us ask for things He already wants to do give us. Study First John 5:14-15, and notice that the promise here gives us “confidence” in prayer. Asking “according to his will” is a matter of confidence and assurance, and not a form of resignation to whatever happens, as we have been taught sometimes. When we know the Father’s will, we should ask that it be done, and trust that He will do it. In a prayer meeting the ministry of the Spirit can help us see clearly what the Father wills, and how to pray. HOW MANY ATTEND THE PRAYER MEETING MATTERS, AND YET IT DOESN’T. Verse 19 says that two can attend a prayer meeting and expect great results. Verse 20 (of Matthew 18) says that two or three can attend the prayer meeting and expect Jesus to be there. Clearly a small number can have big things happen. However, in the book of Acts where we see what the early churches actually did, there is some emphasis on attendance at the prayer meetings. Acts 2:1 says that the congregation of 120 “were all with one accord in one place,” when the great prayer was answered. Later in the same chapter we are told that the expanded congregation at Jerusalem “continued” together “in prayers” (verses 41-42). Generally speaking, it was the whole congregation, now amounting to more than three thousand, kept on meeting after the day of Pentecost. The prayer meeting in chapter 4 that brought revival to the congregation seems also to have been attended by everybody. In chapter 6, “the multitude of the disciples” had been called together for a meeting that concluded as a prayer meeting, which produced a powerful resurgence of evangelism in the city. We get the idea that it mattered if everybody was there. Two or three can use the keys of the kingdom (Matthew 18:18-20), but the congregation as a whole ought to be well represented when coming as a body to present a petition. Revivalists of the past seemed to think that God’s impression of our earnestness matters and that attendance at a prayer meeting can be an indication of that earnestness. The number of folks who come to prayer meetings often indicates the spiritual level of the church. One old-time evangelist asserted that a “prayer meeting is an index to the state of religion [spiritual condition] of a church. If the church neglect the prayer meetings, or come and have not the spirit of prayer [a humble and believing spirit created by the Holy Spirit], you know of course that the religion is low. Let me go into the prayer meeting, and I can always see the state of religion there.” Certainly here we are looking at two sides of a coin, but must be strongly convinced that it is important for believers to attend prayer meetings when they are called. However, poor attendance should not discourage those who do attend in regard to the possibilities of their seeing great things happen in answer to their prayers. PRAYER MEETINGS HAVE A LOT TO DO WITH REVIVAL. Acts 4:31 records that the revival of the church in that chapter came in direct answer to the prayers offered at a prayer meeting. Revival is the work of God by which He lifts His people up to the place where He can bless them (read James 4:8-10). He does this in answer to beseeching prayer. This truth is taught both in the Old and in the New Testament scriptures. When Israel needed revival, they gathered for prayer (read First Samuel 7, Second Chronicles 30, Nehemiah 9, and Joel 2). When the New Testament churches needed a new filling of the Spirit of God, they gathered to pray (Acts 2, 4, 8, and 19). So if a church needs and wants revival, they should have prayer meetings. Find in the Bible the revivals that happened after prayer meetings. Find in history the role prayer meetings always have in revival. When believers wither in defeat, sorrow, sin, and retreat, they ought to call a revival prayer meeting as soon as possible. PRAYER MEETINGS ARE SOMETIMES INVADED AND ATTACKED BY THE ENEMY. When Christians pray together and seek to be led by the Holy Spirit, sometimes they must deal with other spirits. This is why First John 4:1-6 was put in the Bible. It admonishes us to “try the spirits whether they are of God,” and gives us instruction about how to do this. We find in this very important passage that evil spirits are often represented by imposters who represent themselves as speaking for God, but the praying Christians are really dealing with spirits, rather than just with flesh and blood (do study again Ephesians 6:10-20). Some, we are told in First Corinthians 12, will receive a gift of “discerning of spirits.” The leaders of a prayer meeting must be watchful to spot the involvement of evil influences, and bold to squash them. Sometimes good prayer meetings are hindered by prayers that preach rather than petition, insert inappropriate subject matter, by individuals inappropriately dominating the meeting, by the articulation of doctrine and ideas, and by other obvious distractions that come from the enemy. Under the guidance of God, a leader must silence a problem pray-er kindly but boldly. The one causing the problem may be sincere but misguided, but the bad influence must still be challenged. Wisdom is required, but wisdom is promised in James 1:5. We must learn spiritual warfare in the conducting of prayer meetings. PRAYER MEETINGS ARE THE BIBLE WAY OF MEETING CHALLENGES AND SOLVING PROBLEMS. Notice how they were used in the Jerusalem church: to prepare to evangelize the world (Acts 1), to keep a revival going (Acts 2), to obtain boldness to continue in the work in the face of opposition (Acts 4), to heal discord and re-start the work (Acts 6), and to get a preacher out of jail (Acts 12)! Jesus taught the apostles how to have prayer meetings, and they led the church to have them often. This is a new route for many of us to take, but the prayer-meeting method is the Bible way to meet the needs of the church and to take the cause of the Gospel forward. PRAYER MEETINGS LED BY THE SPIRIT WILL PROMOTE HARMONY IN THE CHURCH. When the Christians united in asking for revival, the church could expect to experience it. See this vividly in Acts 1:12-2:4, and then again in Acts 4:23-31. One requirement for corporate revival, we might conclude, is unity of purpose in prayer, and in the prayer meetings. However, after revival came, there was another deeper kind of unity in the body. This was unity of heart. Acts 2:46 says that there was “gladness and singleness of heart” in the Spirit-filled Jerusalem church. Acts 4:32 says that after the revival that resulted from the prayer meeting that was called because of threats made against the evangelizing church (read the whole chapter), “the multitude of them that believed were of one heart and of one soul.” The unity that results from revival is a unity of heart generated by union with God (read how Jesus described it in John 17:18-21). Certainly a byproduct of Spirit-filled prayer meetings is harmony. Whatever disrupts harmony among believers also hinders the effectiveness of their prayers (remember Matthew 5:23-24 and 6:9-15, and also Mark 11:22-26). Whenever such hindrances are taken away by humble deference to others, real unity can come. And the presence of the Holy Spirit within us makes us truly one Body (meditate upon Ephesians 2:14-22 and 4:1-16). Let’s follow the leadership of God in these critical days, and gather often for real prayer meetings! May we join the Lord as He guides us down the revival road!